entering and calculating the scores and instantly producing the reports. change for every new round. Here are some features to consider. 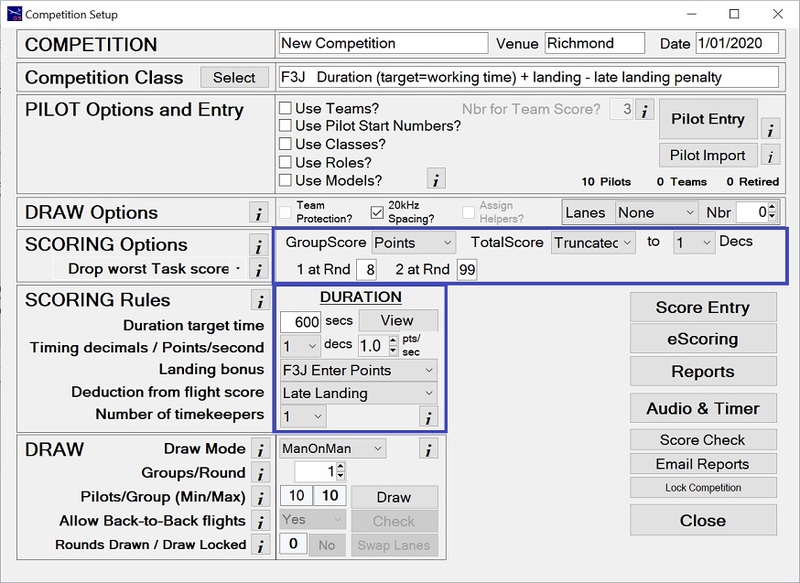 Pilot's Score Records can be printed from the Reports menu. Expand F3J on the side menu to work through these features. Watch the Comp Setup F3J video.